Which aspects of the inflight experience do you feel are the weakest? Airlines need to be bolder with their economy class interiors innovations. There are genius designs available for airlines that want to think outside the box, providing economy passengers with alternative configurations, two-level armrests, and spacial innovations. Which parts of the experience do you feel are developing most strongly? International business class has advanced faster in the past few years than I thought possible. 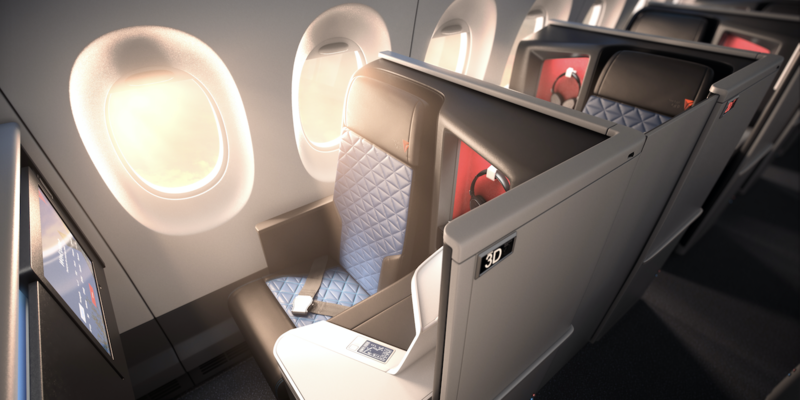 We have moved beyond lie-flat seats, to a new era of business class privacy in a world of luxury. Advancements like these give high-end travelers a sense of enjoying a private jet experience. What aspects are most likely to be affected by disruptive thinking? Disruptive thinking will change how air passengers travel. First, forget the electronic boarding pass and ID check as you know it. The biometric algorithm of your face will become the boarding pass of the future. The Internet of Things will track your preferences and items so that the world revolves more individualistically around you. What will be the next big passenger experience stories? Over the next five years, the stories will revolve around connected technology driving greater personalization. 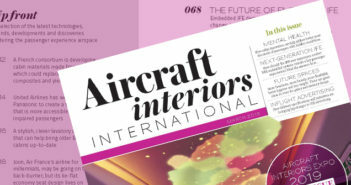 Advances will continue around aircraft interiors, but some of the most exciting steps forward will come from the amount of connected technology that may improve the air travel experience at every step of the journey. Apart from IFEC, is the passenger experience improving in economy class? The economy class passenger has more choices and perks than ever, at lower prices. For the most part, major carriers have kept seat distance constant for the past 20 years, and are using better seating materials. A round-trip 14-day advance ticket purchase, from the East Coast USA to Florida, was US$198 20 years ago, or US$301 in today’s money. That same 14-day advance round-trip costs US$100 today on an ultra-low-cost carrier with less legroom, US$168 on major carriers for the same legroom as the past, and US$208 in premium economy with more legroom and more amenities. Yes, we are charged for checked bags now, but that still costs in total less than the inflation-adjusted cost for a coach airline ticket. What feature would you most like to see enter the onboard passenger environment? I would like to see passenger messaging systems widely integrated into inflight interactions. For example, most passengers do not like pressing the flight attendant call button. It’s so much nicer to text that you would like a drink or a blanket. In that way, when the flight crew has the opportunity, they can take care of passengers in a single action. Airlines need to think about how they integrate seamlessly with the way that passengers do things. What’s next for the IFEC sector? 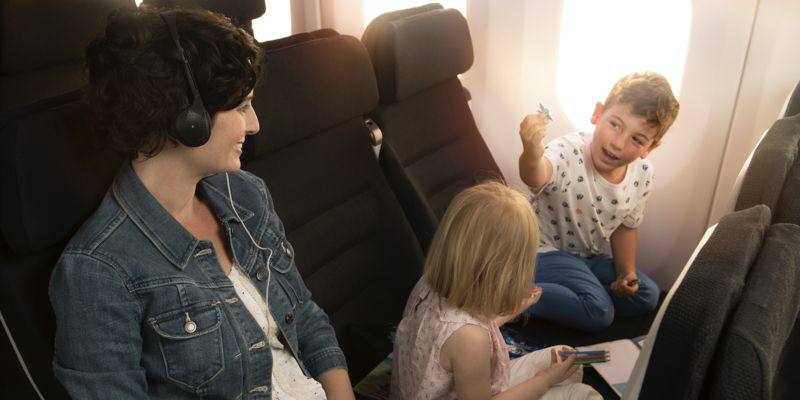 As storage and connectivity become less expensive, the selection of entertainment will grow exponentially for passengers. Combining this wide array of content with stored passenger preferences will enable a feature whereby movies that match passengers’ individual tastes are suggested. 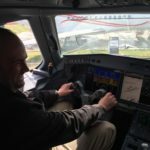 Is today’s passenger experience too connected? There is a lot of talk of passengers’ individual tastes being monitored and anticipated, an idea being further enabled by Internet of Things applications. But do passengers really want so much connectivity? For many, a flight is a rare opportunity to unplug from the world for a few hours. 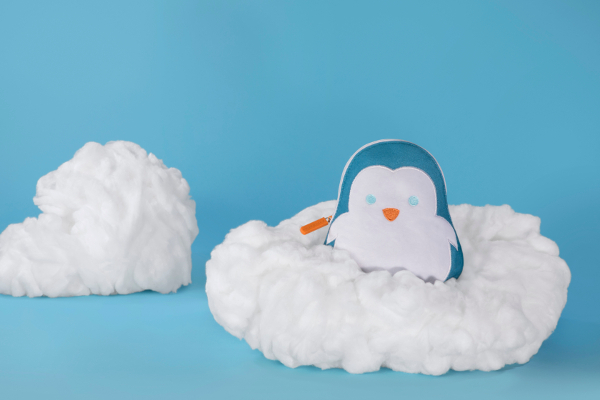 “For passengers that want to unplug, that will always be possible. Those are the same people that bring a book to the beach rather than their smartphone. The Internet of Things and personalized experiences will enable passengers that want to engage with the digital world to find it intermingled with their physical world. Which airlines do you most admire? I point to Delta and JetBlue as US airlines that relentlessly provide great passenger experience touches in every class of service. I admire Emirates, Etihad, Qatar, Singapore and Turkish for raising the bar for the passenger experience worldwide. I find inspiration from airlines such as Finnair and Air New Zealand for showing that size does not mean compromising the passenger experience. I smile upon Aer Lingus and Air Canada for demonstrating that an airline may concurrently defend against low-cost carriers while building its business class brand and routes. Finally, I admire airlines like Southwest that prove that the passenger experience starts with simple heart and values of front-line employees in delivering a consistent passenger experience. Which airlines still have work to do? of consistency in their passenger experiences. British Airways, with its cost cutbacks in the passenger experience, must clearly define the global airline that it wishes to become as it transforms. Joe Leader was appointed as CEO of APEX in September 2015, following a four-month search process involving more than 600 high-profile applicants, who were screened and interviewed via the Marlborough aviation executive search group. Prior to joining APEX, Leader served in executive roles at aviation and technology companies for more than two decades. He worked as the president of an international aviation association, led the advancement of aviation booking technology expansion at a multibillion-dollar GDS company, and served in the international leadership of advanced technology companies. 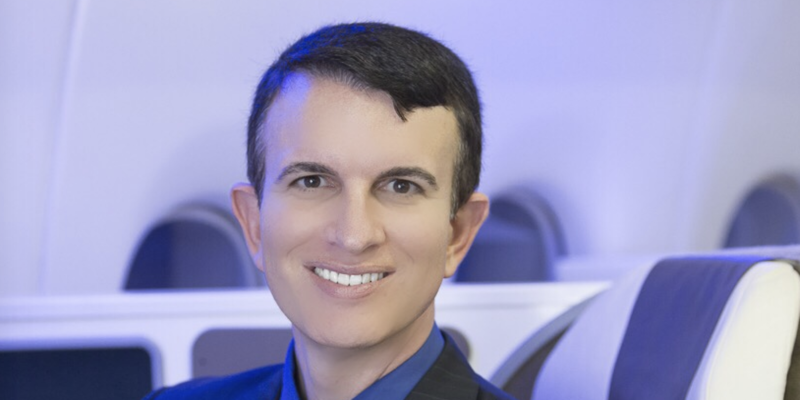 With a passion for education, Leader’s business PhD dissertation research focused upon accelerating the passenger adoption of new aviation technology. After two years in the role, what does Leader see as his achievements at APEX so far – and what does he still hope to achieve?